I first went to Oregon wine country in 1994. I was amazed at the potential, especially for Pinot Noir. I spent a week there at a conference called Pinot Camp for wine buyers. We tasted just about every winery in the state and, with a few notable exceptions, I was underwhelmed. The wines were all good, but so many of them so very similar. We all wanted them to be great, but I kept feeling like I was the only one in the room who saw that the emperor had no clothes. Well 25 years have gone by, vineyards have gotten older and winemakers like Robert Brittan have come to understand the soils and micro-climates of Oregon. There are now several truly exceptional wines being produced in Oregon and the region is exciting. In the last quarter century, the emperor now has acquired a whole wardrobe! Among the most exciting producers is Robert Brittan. Half the wine-makers you meet will tell you their Pinot Noir is 'Burgundian.' This is almost never the case and I have to restrain myself from saying, "Oh no they are not." When I met Robert recently at a tasting in New York, it was I who exclaimed to him that his wines were indeed Burgundian. We became friends on the spot. Pinot Noir is supposed to be more about the soil than it is about the fruit, and this is just what you see in the various Brittan wines. They are beautifully structured. They are elegant yet powerful. Iron fists in velvet gloves. 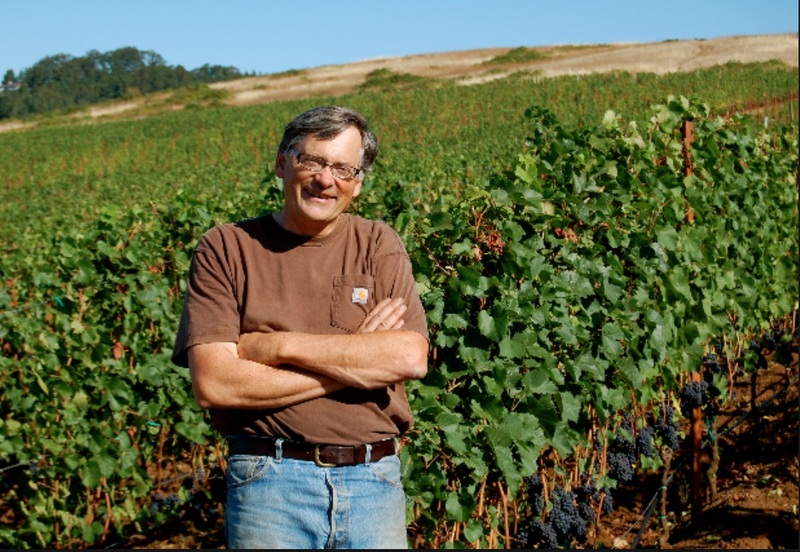 We're honored and excited to have Robert come with his wines on Sunday, May 5. These wines were made for great food and great company. We will have both on Sunday May 5. Do join us.